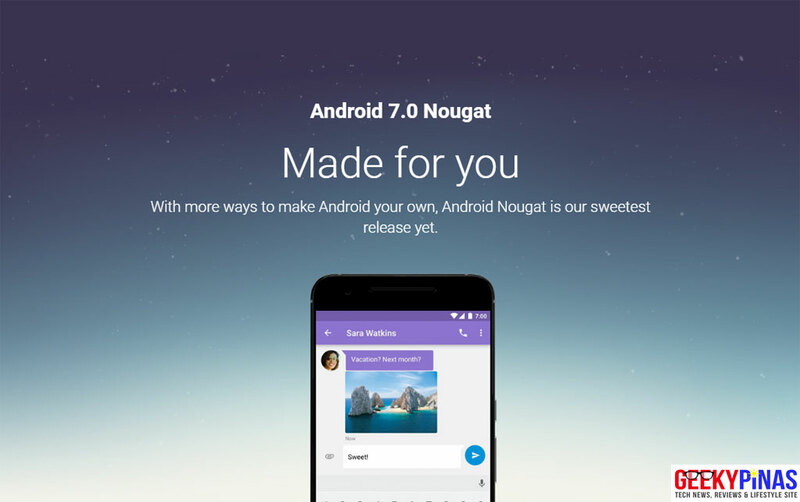 Android 7.0 Nougat is now officially released! Just a few minutes ago the page dedicated for Android 7.0 Nougat has gone live and it means that Nexus device owners can receive a direct OS update from Google servers anytime now. After a five-month developer program this new Android OS is now final and stable as Google has released it today, also it means that several smartphone manufacturers and brands will release an update soon for your devices or new upcoming phones will be coming with the latest OS. Android Nougat's newest and notable features includes the multi-window view, quick switch between apps, Vulkan API for better gaming, Daydream for VR ready phones, Doze for better battery saving, security upgrade and several UI improvements especially in the notification center and quick settings. The first ones to benefit the over-the-air update of Android 7.0 Nougat as per Google will be Nexus 6, Nexus 5x, Nexus 6P, Nexus 9, Nexus Player, Pixel C and General Mobile 4G (Android One). There is also an announcement below in the page that LG will unveil an upcoming smartphone with Android Nougat OS by September 6, 2016.